Cool and dry diabetic feet are healthier feet. Perfect for men or women, these soft Silver Steps™ Cool + Dry Diabetic socks feature a non-binding top and open-weave rib for loose, breathable comfort. As heat and moisture is wicked away from skin, antimicrobial treatment helps prevent the growth of bacteria and odors. Ideal for those with diabetes, circulation problems, edema or neuropathy. Includes 3 pairs of crew-length socks. 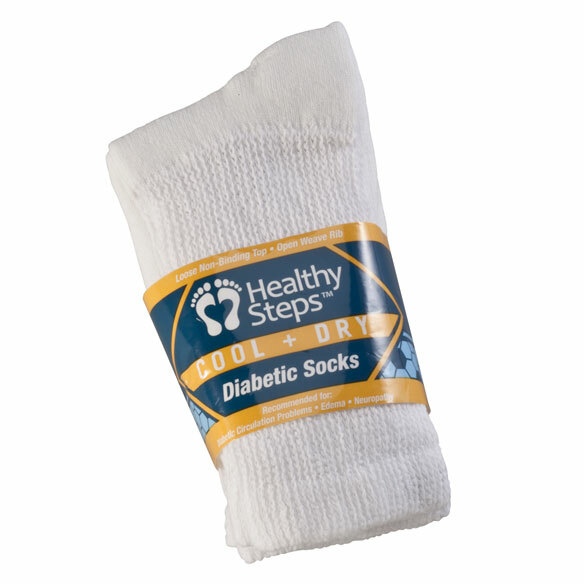 Diabetic socks made with 75% polyester/20% cotton/5% spandex. Machine wash warm, non-chlorine bleach only; tumble dry warm. my husband loves them finally found a size that fits them, he wears a size 13 shoe and they fit good and has plenty of room. I am a diabetic and I need socks that work. Husband has neuropathy. Likes the larger leg and the softness of the fabric. These are very soft and do not cling or hurt my husbands feet. seems like they are loose enough to be comfortable. My husband is a diabetic and these socks are great! I liked the reviews, and I need these socks for comfort. 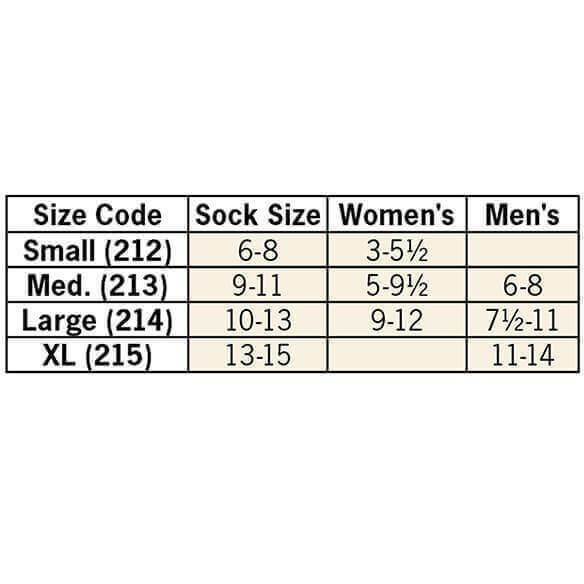 what size equals womens size 9? what size for mens 10-1/2 shoe? BEST ANSWER: Thank you for your question. You would order size large. We hope this information will be of help to you. what size for a mens size 9 shoe? BEST ANSWER: Thank you for your question. Size 9 would be fit by the large size. We hope this information will be of help to you.